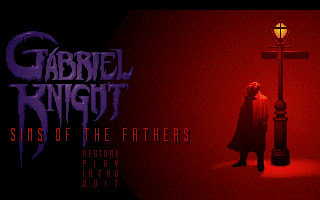 Gabriel Knight: Sins of the Fathers was released in 1993 by Sierra. 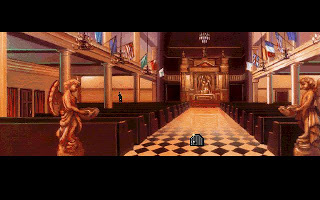 It is the first in the Gabriel Knight series, and also one of the best adventure game around. 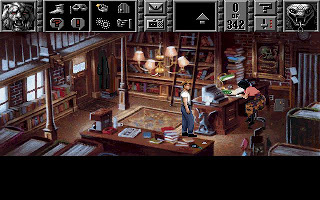 Gabriel Knight is using an upgraded version of Sierra's point-and-click system. 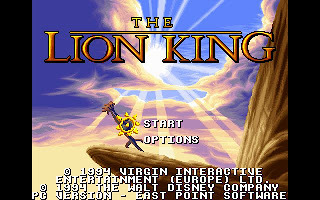 Gabriel Knight was released almost the same time with Fate of Atlantis and Monkey Island 2, and it was the golden day of adventure game during that period. 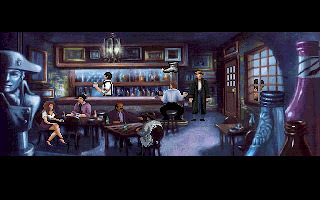 Besides coming with superior graphics and amazing soundtracks, Gabriel Knight also have a very deep, dark and engaging story line. 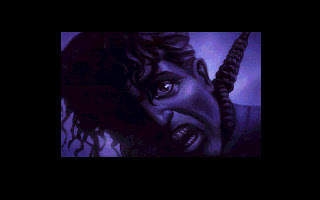 From its name, we should know that we will play Gabriel Knight, a man with a mysterious background. The story unfolds over a sequence of "days", each of which has a required set of actions to be performed before proceeding to the next. The game proceeds mostly linearly, since the puzzles on a given "day" must be completed in order to reach the next day. However, within each day play may be nonlinear. Throughout the game a running score is added to as new challenges are completed. 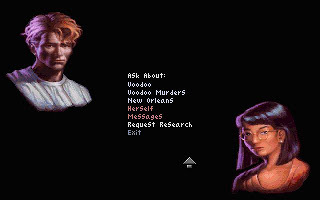 The game follows Gabriel as he follows the police investigation into a spate of killings which apparently have voodoo overtones. Gabriel is hoping to use the investigation as the basis of a new novel, but as the days of the case progress, he is drawn much deeper into a mystery which links the murder spree to the underworld of voodoo myth and practice, and towards a beautiful and mysterious New Orleans socialite. He also draws links between the case and a horrific recurring nightmare which has plagued him all of his life. 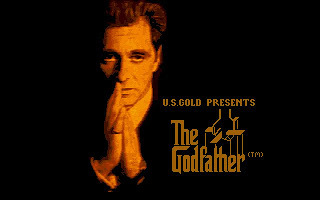 Gabriel comes into contact with a lost relative in Germany who informs him of his family's heritage. Gabriel finds he has inherited the mantle of Schattenjäger, a sort of modern day Inquisitor, and that only by embracing his calling can he overcome the curse which has almost wiped out the Schattenjäger line and is the cause of both his nightmares and the Voodoo Murders. Gabriel travels to Germany and Africa, before returning to New Orleans for the denouement and has to choose between love and forgiveness or fulfilling his duty. 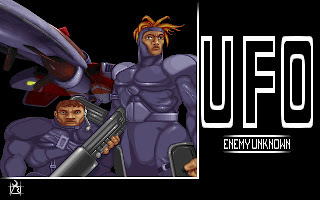 The game offers two endings which differ as a result of Gabriel's actions. 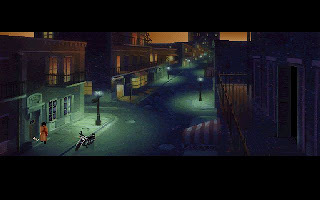 Gabriel Knight: Sins of the Fathers is a game that you should not missed. 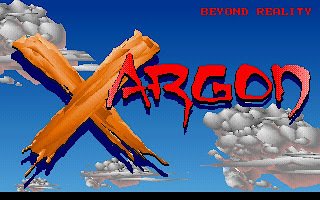 You can download Gabriel Knight from the button below.